Sterling silver heart pendant (.925) with an 18" chain. 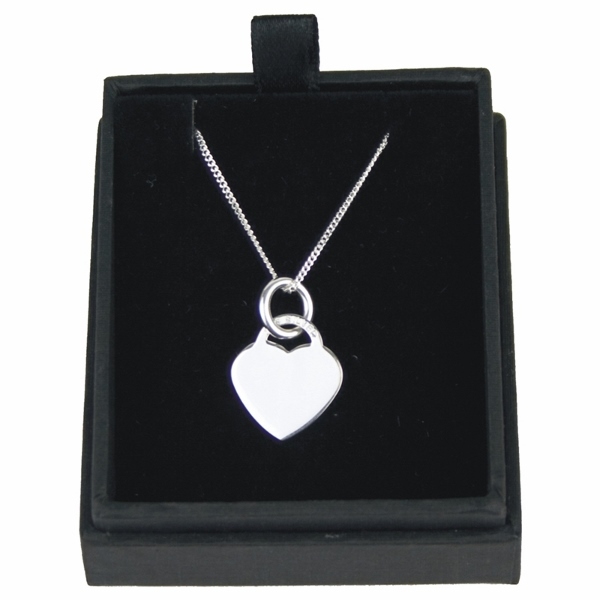 The heart pendant measures 17mm x 19mm. The black gift box comes with an engraved plaque with your personalised message. They make perfect Birthday, Christmas, Anniversary, Mother's Day presents.... it's endless!